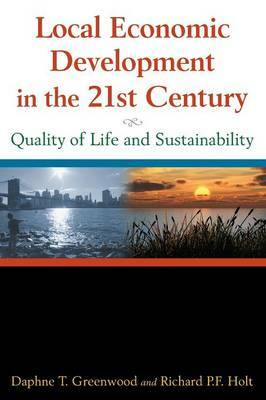 Provides a comprehensive look at local economic development and public policy, placing special emphasis on quality of life and sustainability. It draws extensively on case studies, and includes both mainstream and alternative perspectives in dealing with economic growth and development issues. The contributions of economic theories and empirical research to the policy debates, and the relationship of both to quality of life and sustainability are explored and clarified.